Dr. Christopher is a mental health professional who specializes in working with superheroes. Now he’s back with a new set of patients and a new set of problems. 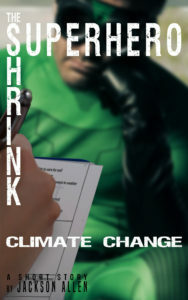 How will the superhero wars affect our global climate? No one is quite sure, but everyone knows that Dr. Christopher is caught in the middle.